Today is Friday, June 5. I’m supposed to be at a wedding right now on Long Island. Instead I’m at home in New Jersey with my head bandaged up like I suddenly took Holy Orders and everybody is calling me a nun. I took a shower this morning. That’ll teach me. Dirty is the way to go, my friends! I slipped in the shower (something I haven’t done since I was a teenager forcryingoutloud) and I hit my head on the corner of our marble sink and my thigh smack onto the rim of the tub. I waited a second to see if I was going to pass out (good, no dark tunnels, no harps playing) and slowly stood up. That’s when I noticed all the blood running down my shoulder. I was actually able to shut off the water, wrap a towel around half of my head, get another towel wrapped around me, opened the door and called out to my beloved who was snoring peacefully in the bedroom. (Later he told me “Well, yes, honey, I heard something but I thought you were getting some clothes out of the closet.”) The first words he said were “What did you do?” and that’s when I knew I was going to be okay. If he had recoiled in horror or passed out from the sight of blood then my goose would have been cooked. We ascertained the blood wasn’t coming from inside the ear and went to the local walk-in-if-you’re-injured place. Not only am I darn tootin’ lucky, I’m apparently also quite talented in the falling department. I have ripped up the cartilage on the rim of my ear pretty well and I have a gash about two inches long in back of the ear. Once they finished stitching me up and wrapping my head, I figured we weren’t going to a wedding, even though everyone tried to convince me that it didn’t look too bad and maybe I could put a nice scarf over it? Seriously. I’m wearing a wimple and you think people won’t notice? Besides, the bandage is white and it would have competed with the bride. In other crap news, remember the lovely photos of my garden I showed you? The very next day the cucumbers, snap peas, hollyhocks and nasturtiums were gone and in their place are three very happy and very fat bunnies hopping around my yard and wondering when the next buffet is served. Apparently they’re not Italian bunnies because they’re staying far away from the tomatoes and zucchini and basil. We never had a rabbit problem before, but we figured out that the last time we had a garden we also had a dog. Now we just have marauding rabbits, greedy groundhogs, maniac squirrels, bipolar chipmunks, and very confused mourning doves. Tomorrow we go into Manhattan to see a show. I actually think I’ll blend right in. 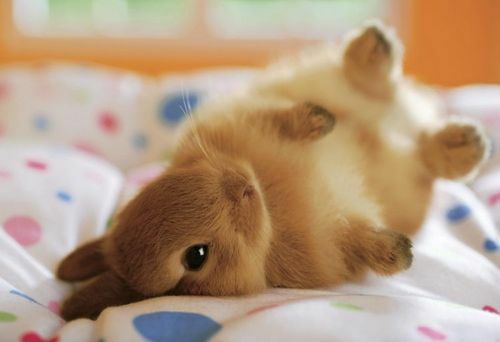 Oh, sure, you’re cute when you fall down. YOU’RE PROBABLY WEIGHTED DOWN WITH VEGETABLES.